People who have respiratory diseases need to be able to rely on an effective therapy. 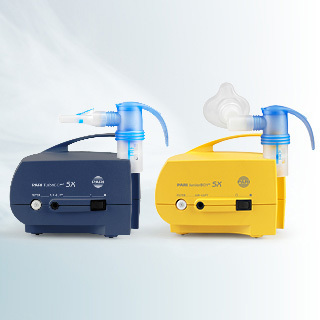 A reliable medical aid of the highest quality plays a key role in nebuliser inhalation therapy. PARI is synonymous with well designed, efficient products made from high-quality materials with excellent workmanship. So you can expect the best performance, long-lasting functionality and safe hygiene. To ensure safe aerosol performance to meet every need, PARI has always maintained the highest quality standards by manufacturing its products in-house. Its subsidiary PARItec in Weilheim in Bavaria, undertakes all process steps from tool making through to plastics fabrication and assembly to logistics for the finished products around the globe. The secret to PARI’s quality, which has stood the test of time over decades, is specifically its use of high-quality plastics. Different types are selected depending on the intended purpose: from the stable housings for the compressors known for their durability to the supple and well-tolerated materials which come into direct contact with the skin, such as baby masks. In addition to efficient performance and long-term functionality, hygienic safety is of utmost importance: all nebuliser parts including the masks can be boiled out and sterilised, and are also suitable for use in hospitals or medical practices. We use both high-tech systems and manual work: fully automated processes with 100% quality assurance, assembly by hand and personal inspection of the nebulisers mean PARI is able to keep its promise of high quality to its customers even with high production numbers.